This utterly under-rated film is a must see for any fan of the horror genre. Recommended. The film starts off with a group of friends. Paul (played by the very talented Jonathan Sadowski), and his brother Chris (Jesse McCartney), and their girlfriends, Natalie (Olivia Dudley), and Amanda (Devin Kelley). When Paul makes the decision for them all to go on a day trip to the abandon city of Chernobyl, they meet up with a tourist couple, Michael (Nathan Phillips) and Zoe (Ingrid Bolso Berdal). The day excursion is led by an ex- Spetsnaz commando named Uri (Dimitri Diatchenko), who takes them into the Chernobyl Exclusion Zone. 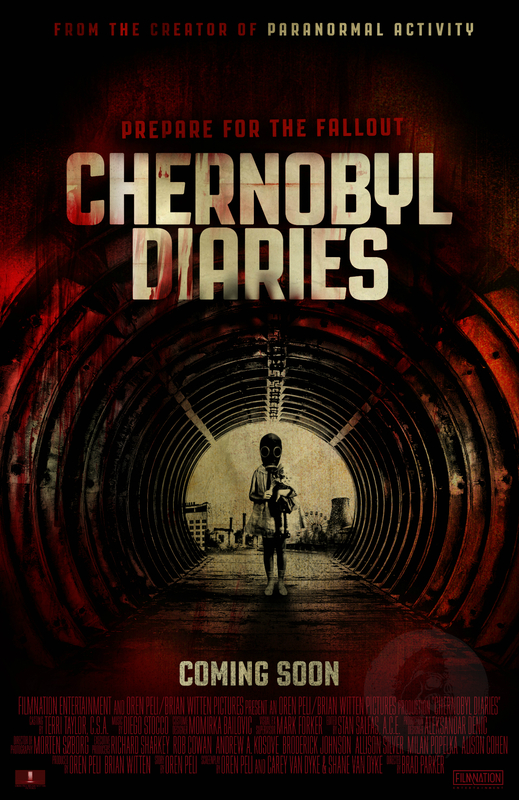 They arrive in Pripyat and explore, only to return and find their vehicle sabotaged. Their situation only goes downhill from there. When night falls, they are subjected to an endless night of horror. Some have labeled this movie a found footage film. This is incorrect. While the film does contain some found footage, the film itself is not found footage. I really liked the cinematography in Chernobyl Diaries. The filmmakers do a very good job at making it appear as though the viewer is right there with them the whole time. This movie is very claustrophobic. This movie has a great feel from beginning to end. All of the characters are likeable, so when they each begin to get picked off one by one, you really feel bad for them and their situation. Oren Peli wrote the screenplay to this film. He is best known for directing the first “Paranormal Activity” film, and writing the first three screenplays for that franchise. I personally love this film, and find it much more effective than any of the “Paranormal Activity” pictures.